For years, many have asked us for resources that summarize our services. These shop owners need solutions simple enough for them to customize for their specific business needs. The call is for easy-access, go-to resources that anyone in their shop can reference at any time. 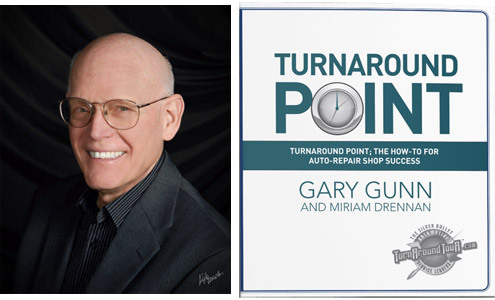 Turnaround Point is the answer. 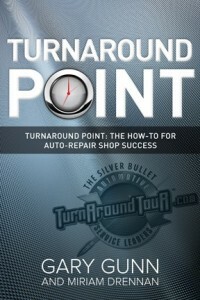 A best-of-the-best resource, Turnaround Point encapsulates many of the Turnaround Tour ShopPros sessions. These include Budgeting, Daily Operations, Leadership, Management and How-To Manual Construction. You and your team can review the Yes Process and train new hires on the SOS philosophy as often as needed. Managers can examine the true cost of doing business and how to manage on cruise control whenever they need a refresher. All of the principles and processes are right here, in a singular source! We’re LOVING your book! Brings back lots of fond memories, and “dusty shelves” SOP’s! To truly make this the best-of-the-best resource, content is delivered in print and audio formats. Mix and match it according to your needs and desired way of learning and use this valuable resource. TAP Bonus is included with any purchase of the above offerings. This is an additional Turnaround Point library for downloading documents and possible updates. You will be sent username and password access to the library via the email address you supply. 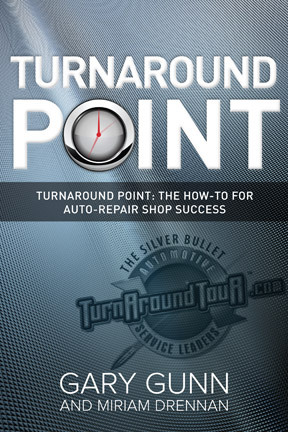 With Turnaround Point, now you can bring all the energy and wisdom of the Turnaround Tour ShopPros core coaching concepts to your own shop, tailor-made by you! Although I had excerpted a page here and there from your book, I sat down this morning and gave it the cover-to-cover read. You did a GREAT job with it. What it did for me was put all the different pieces that I had been exposed to over four years working with TAT together in a tidy, concise document. Sign up below for a FREE sample chapter – immediate download! I thought it covered basically everything a shop owner needs to be successful. Loved the real life stories of shop owners and the takeaways and Gary’s golden nuggets. Very good book.